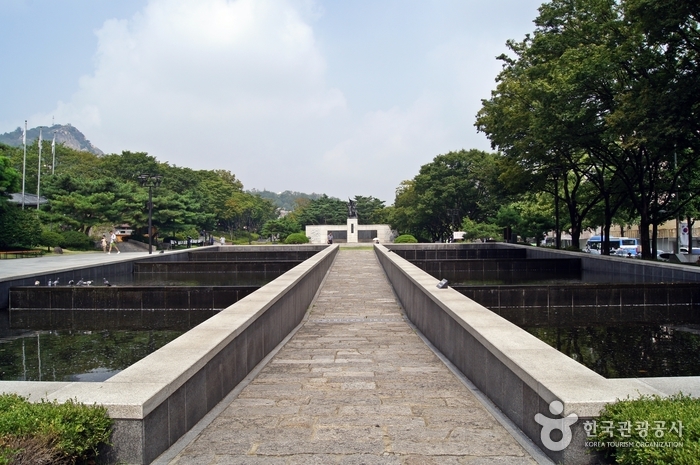 Dongnimmun stands at a spot originally known as Yeongeun, where envoys were once treated. When a Chinese envoy visited, the King would go out through this door to greet him. It’s in 1897, to announce that our independence to Japan, Russia which had influence and threatened China, Korea for a long time. The expense for the construction was collected as a fund by Korean citizens. The traces of the past still remain on Dongnimmun. 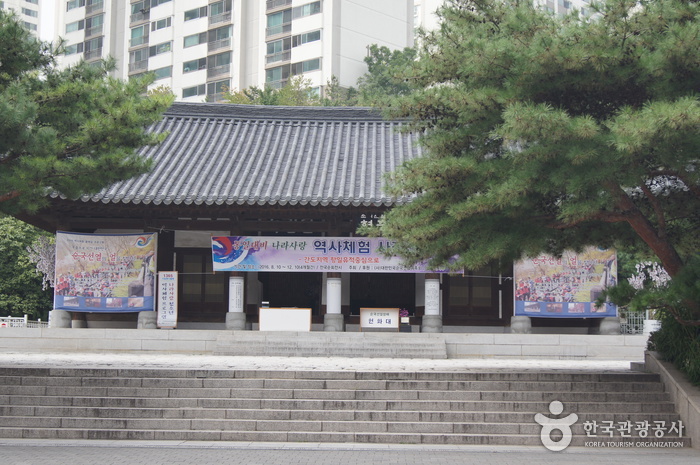 The two pillars in front of Dongnimmun are the remains of Yeongeunmun. The Arc de Triomphe in France can be recalled in comparison to Dongnimmun. 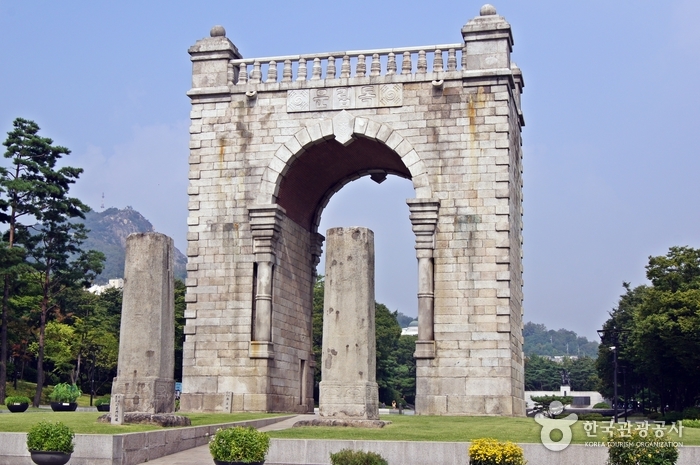 Dongnimmun was built up with a granite wall, and there is a passageway with a height of 14.28 meters. On the top it is written ‘Dongnimmun’ in Korean with the national flag drawn on each side. On the inner-left side there are stone stairs leading to the attic. 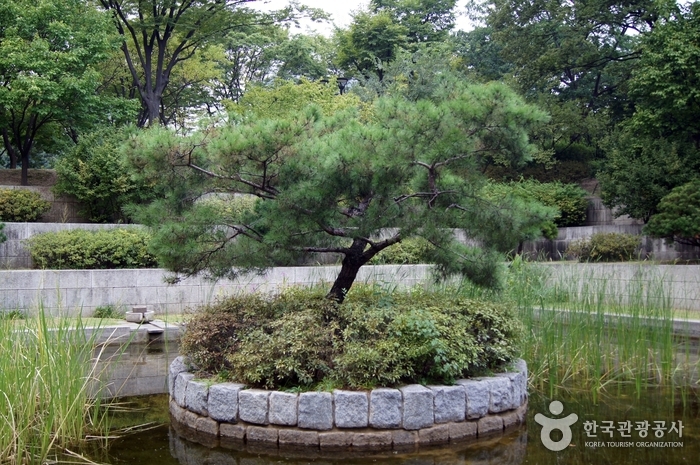 The national flower Mugunghwa are planted around Dongnimmun. Now it is surrounded by roads and it is eye-catching to view when passing by.